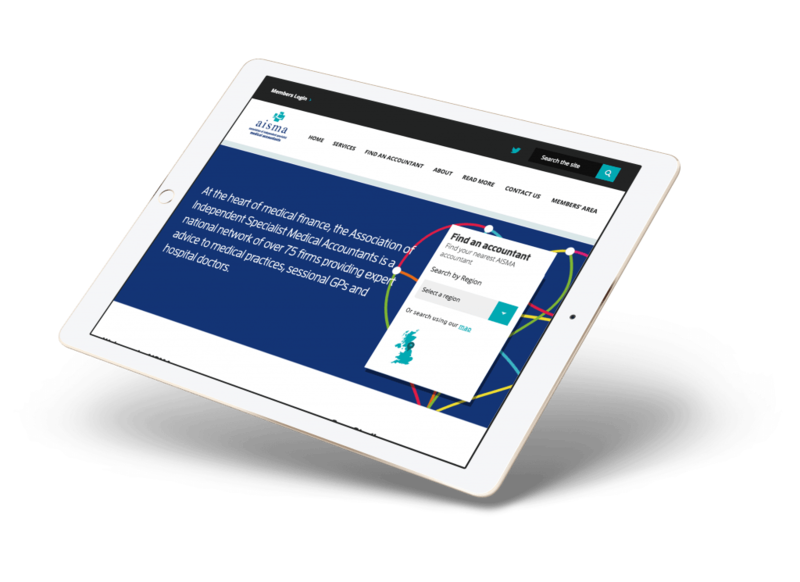 A national network of over 75 accountancy firms, providing expert advice to medical practices, sessional GPs and hospital doctors, asked Soap to jump on board and create a fantastic new website to showcase their versatility of services and offerings. Aisma required a new site with a public area aimed at selling the benefits of membership to GPs and a secure login for existing members. This had to allow access to a discussion board, news briefing, and many other valuable member features. With out expertise in financial website design and a history of medical website design to complement aisma’s existing knowledge, the new site offers their members a significantly improved service, as well as empowering the aisma committee with the easy to use and highly functional enterprise level Content Management System (CMS). Amongst the many new features are a members’ forum, that caters for an unlimited number of members, unlimited posts and user role management. Other enhanced features include a member directory map organised by county and a membership application that automatically generates a PDF download. Automatic email notifications for forum posts have allowed AISMA members to easily distribute new content to other members and open new discussion on the site. Take a look at what Liz had to say about us. Soap Media developed a website that reflects the professional, quality service provided to GPs by AISMA accountants. They took time to understand our requirements and delivered a website that provides straightforward functionality allowing us to disseminate information regularly to AISMA members. Soap Media continues to provide us with a good service, always responding to requests for help when the need arises.